Chris Kutarna is a two-time Governor General's Medallist, a Sauvé Fellow and Commonwealth Scholar, and a Fellow of the Oxford Martin School with a doctorate in politics from the University of Oxford. A former consultant with the Boston Consulting Group, then entrepreneur, Chris lived in China for several years, speaks Mandarin, and remains a regular op-ed contributor to one of China's top-ranked news magazines. He resides in Oxford, Beijing and Regina. 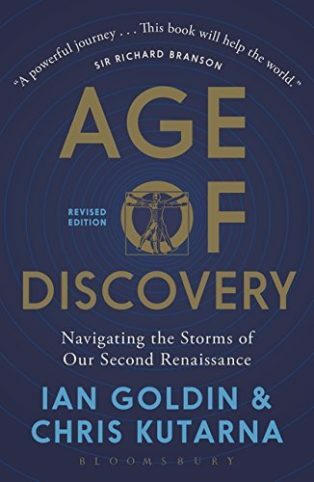 Your book, Age of Discovery, first published in 2016 (and out now in paperback) was written with Professor Ian Goldin. Among many other prescient observations in the book you correctly predicted Brexit and Donald Trump. That was something that got a lot of people to perk up their ears and really notice Age of Discovery as a book and as a frame for making sense of the time we live in. “How to make sense of the present and make this century humanity’s best,” was, in my mind, the subtitle for the book as I was writing it. That was my compass, my guiding star for what am I doing here and why. I guess I had mixed emotions around this time, especially Trump’s election. I find it a worrying time and I know I’m not alone – unstable politics framed by the dangers of climate change. In Age of Reason, I found your thinking and research invigorating. I also found a great deal of comfort in your assertion that humanity could, through all this upheaval, chart a course to a golden age of creativity and potential. It’s a book about making sense of the moment we’re in, and then, fundamentally, saying that through a Renaissance lens we can see two things. On the positive side, that we have the potential to really shift the whole of humanity into a new era: out of an industrial age and into a knowledge era. There’s no way to go through such a fundamental shift in the human condition without tremendous upheaval and anxiety, but there’s a lot of macro evidence – global health, wealth, education, the kind of technologies that we’re working on, new ways of unlocking energy, new ways of unlocking health – that allows us to see the possibility of a shift from a global condition of scarcity to one of abundance. On the negative side – and this is why I think the Renaissance is such a helpful lens – the chances and possibility of destruction and loss are equally present and great. One of the things about the Renaissance is that people imagine it as having a positive connotation, and it does have that hopeful connotation. It was, in many ways, a period of great innovation and discovery, a shift out of the medieval era. But as soon as you dive into the real history of the period we’re very quickly reminded of how Columbus discovered America – and what happened to native American populations. The Portuguese and Spanish colonisation of South America ravaged the indigenous populations. They were destroyed by colonialism. Look at the beginning of mass slavery from Africa to this new world. Look at the economic opportunities that were created along the Atlantic Ocean routes and the economic devastation that happened along the old silk roads. Today we can look at the recent financial crisis and at the religious and political upheaval as populists take power and we launch a century of religious war and mass refugee movements across continents. The Renaissance was a moment of transition, from a mediaeval to a modern world. We have to be very sober about the losses that we have and will sustain, about the new scale of risks that we open ourselves up to and the ways that we are vulnerable as we connect together. Over the last twenty five years, I think we’ve come to a greater appreciation of these downside risks. Then, quite suddenly in the last couple of years, they’ve really become top priorities for us as individuals, as business leaders and as political leaders. These issues are all now on top of our agenda. How do we deal with all the unintended consequences of so much change? That also brings with it positive possibilities. I guess the most common debate I get into with people is, are we optimists or pessimists? I think we have to recognise the fallacy of both those things. That there are so many optimists who very easily and quickly slide into a naiveté, or a techno optimism that technology solves problems. Which it doesn’t. History tells us it just gives us new problems! On the other hand, it is also very easy to fall into a fatalism, a thinking that throws up its hands and says, “Oh my God, we’re all heading out of control.” This isn’t right either, because, fundamentally, we all create the future. Everything that is happening is all stuff that we are doing. There are tremendous possibilities that we need to reconfigure politically and economically with the tools of social design that we have. Part of this age is about reconnecting with those possibilities. And the people who will be most affected by ‘the stuff we are doing’ are the upcoming young generation. It is rather an impossible question, but I thought it an interesting impossible question and one that someone in your field might be able to answer: which five books would you suggest that any young person today should read to help them navigate this uncertain future and make the most of the opportunities out there? I’m not going to be so vain as to put my own book on that list of five, although I do think it’s a good book for young people to read. It is a wonderful question, one that allowed me to just step back and to think about some of the key books that I have really valued or cherished at different points in life too. And for different reasons. Your first choice is Viktor Frankl’s Man’s Search for Meaning (1946). I probably first read this book about twenty years ago. Viktor Frankl passed away in the 1990s. That’s probably when it came to my attention and I read it. 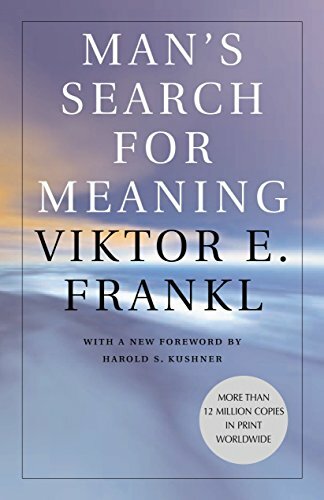 Walk into any bookstore and somewhere there’s a shelf that’s labelled ‘self-help.’ In my view, you can just ignore the whole shelf and read Viktor Frankl’s Man’s Search for Meaning. It’s the only book that a person really needs to read in that vein of: ‘how should I think about things like success and failure, fear and doubt, external achievement and internal need?’ All of those questions about how to live and, ‘what is it all for?’, are vital for the young generation to get to grips with. First of all, for those who don’t know Viktor Frankl, his is an inspiring story. Frankl was born in the early 20th century. He studied psychology and when he was in university, he started a programme to study why people in high school committed suicide – the stresses that they had. He then set up a programme to provide psychological counselling. This would have been in Austria. In the schools using his programme not a single student committed suicide. He was clearly going to go on to a career as a successful psychologist and psychoanalyst. He had met and studied under Sigmund Freud at some point. Then, of course, World War II happened. He was Jewish. Frankl ultimately spends six months or a year in concentration camps. He applied the same psychology that he had been studying and developing to help people in the concentration camps. Man’s Search for Meaning, is about his experience in the concentration camps. How do we find meaning in suffering, in even the most brutal suffering imaginable? In that crucible of the most difficult learning environment imaginable, he really came out with a couple of gems of wisdom that everyone should read and understand. I read it when I was just in that transition from high school to university. I was making that transition into adulthood and having to make choices about what mattered in my life. 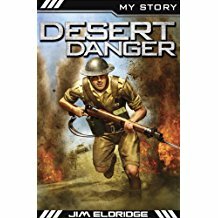 I re-read this book about once a year, usually over Christmas. Frankl had this simple equation, he said D=S-M. The equation was: despair equals suffering without meaning. He meant it in terms of suicide and death, but basically, if you’re suffering and you can’t find any meaning in it then you experience ultimate despair. The power of the human spirit is that we can find meaning in suffering. We can turn despair into hope and possibility. That really is the main message of the book. He has this beautiful philosophy about life which is that we can always find meaning in our lives, under any conditions. Our lives are given meaning by the decisions we make. Viktor Frankl is probably the most economical form – not of self-help, but of self-health – of mental and spiritual maintenance. There is a whole industry that presumes to give us a quick fix to be mentally and spiritually healthy. I think all you need to do is read this book. What particular difficulties do you think young people may face in the future? I guess one of the growing difficulties for young people is the tyranny of choice. It seems that you graduate from high school or university, whenever, and even the line between being a student and starting a career is completely blurred. You’ve got seven-year-olds who run profitable YouTube channels showing how to play with the latest Barbie doll. It can be terrifying. They talk about things like the fear of missing out. There is just so much in front of us now. There are no rules about what can be expected of you at any particular stage of life. I think it’s very easy to become paralysed with the awesome freedom of growing up in this connected digital moment. I don’t know if it’s going to be more or less difficult than previous challenges have been, but there’s going to be a new struggle to make sense of what we should focus on. Where should I focus my best energies? I think some of the wisdom is old, but it’s probably going to have to be learned all over again. This whole thing about celebrity versus greatness. It seems that how many ‘followers’ you have is part of your self-worth. I think it was Victor Hugo who said, “popularity is the very crumbs of greatness.” It’s not about being popular, it’s about being your best self. Mining something inside yourself that celebrates your individuality. I think the incoming generation of young people is going to have that whole conversation all over again, and come back to that same wisdom. I found a great lesson of positive resilience in Man’s Search for Meaning. None of us goes through life without experiencing loss and suffering. It’s in those moments of loss and suffering, say, the death of a family member that we invariably become very focussed and appreciative of how important that person was to us. How important that love was to us. How important love is in our lives. That was very much a message in Man’s Search for Meaning. He talked about how, when four or five of these guys were crawling through the stones, and they were all thinking about their loved ones – and in that moment they really understood the truth of this ancient wisdom that love is the most important thing. Suffering is part of what reminds us of that. That’s the role of suffering in life. It connects us to some of the best parts of being alive in the same way that death connects us to how precious it is to live. If we were all immortal there’s a risk that we wouldn’t have the energy to do anything at all – there would be no urgency. Just appreciating this, as we go through life and experience challenges and sufferings, that we can also choose what meaning we make out of the times that seem dark and depressing. That’s an essential skill for our own mental and spiritual health – to recognise that we all have the capacity to choose meaning. A lot of people begin, like I did, with philosophy because it sounds so interesting – a love of wisdom and so on. But our first introduction to the subject can be, sometimes, a bad one. I put this book on my list to say if you think philosophy might be interesting then you need a good introduction. I think that this book is a really good introduction to the field because, rather than getting all cloaked in the detailed analytics and the symbolic language of logic, he goes for the big questions that we think philosophy is supposed to be about. What sense can we make of death and how do we understand that? How do we understand the role of luck? Does Mark Zuckerberg deserve his billions, or was he lucky? How do we understand that? How does that apply to the question of how much we feel is ours, versus how much other people have a claim on? For instance, what is my moral responsibility to people in poverty, or people begging on the street? A lot of the book takes these big philosophical questions and shows us how to relate them to our daily lives. How to analyse and understand our experiences, actions and reactions. I thought it was brilliant as an introduction to the field of philosophy . My favourite chapter is called ‘The Fragmentation of Value.’ Because I’m a political scientist I’m interested in how it is that rational people can disagree, and disagree for millennia, about things. How do we come to a mutual understanding and agreement? What he does in that chapter is lay out how we have different ways of valuing stuff in the world. His main point is that it might not be possible to fit them all together in an equation – they’re just different, and there may not be a way to fit them all together. We can have a utilitarian sense of value. We add up what would be the best thing to do A or B? A has this overall consequence and B has that overall consequence. Whichever has the better overall consequence, we should do that. This is utilitarian. Utility maximisation. I feel I do rather a lot of utility maximisation as a mother of two young children! Then we also have, I forget what language he used, but we have personal preferences. That’s my child. I can see the fact that A is better overall, but it’s going to hurt my child – suddenly it’s not clear to me whether the better choice is A or B. 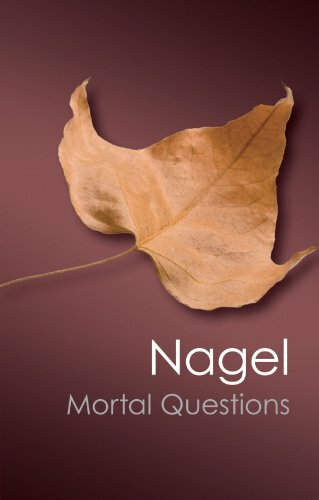 One of the wonderful things that Nagel does in that chapter is say that it’s also not clear – once you have this conflict – that there’s any argument that should lead you to accept A over B because of this relationship value that you have. You are a parent, you have a child. That’s a unique set of duties and responsibilities (and love) that is just not captured anywhere in the utilitarian logic. Then we have questions about time, people who are alive now or people in the future, how do we weigh those things? That chapter helped me to see underneath so many debates and conflicts that happened in my personal life and in the world around me. To recognise that you are arguing one source of value and another person is arguing another. That’s why some of these debates go on forever. As a political scientist, I can look at things today and see that we’re having these raging debates about immigration. You have all sorts of utilitarian arguments. Look at the economic statistics of how immigration creates growth, how it creates jobs, how diversity leads to the development of new industries – all of this. Then, you have another argument that says immigration is changing the nature of society and culture. Do we value that, or do we discount it? This debate rages in society ­– and there is no answer – because both arguments have a valid piece of the truth. This is related to fake news and how every political tribe has its own version of reality. Part of it is misinformation, of course. But if we really want to understand what is going on we must recognise that fundamentally these different debates are grounding themselves in very different values. These conflicts are here then, in our globalised and connected age, and we are going to have to learn ways of dealing with these debates? Reading philosophy is helpful. It allows us to look at all the chaos of life, step above it and understand it. I think that this is the best introductory book that I have found and it continues to be useful for me. Especially if you want to look smart at cocktail parties! Next on your list is To Live by Yu Hua (1992). I had to put a Chinese book on my list because I lived in China for a few years. I moved to China in 2005 and somewhere along the line I started to read the literature. There is a huge and rich literature in China. Yu Hua is a pretty famous author living in China today. The book was banned in China when it first came out, and that’s part of how it became an international best-seller, because everyone wanted to know why it was banned. The author lived through the Cultural Revolution in the 1960s. This heavily influenced his writing and, in particular, this book – which is the story of a man who is born into a wealthy family, he is a degenerate, drunken gambler. The Cultural Revolution happens and the family loses everything. Throughout his life he experiences waves of loss and waves of happiness. I think, for a foreign reader, it’s a terrific book to connect to some of the core ideas, particularly of people currently in their thirties and forties and fifties and sixties, who have lived through a radical transformation. Not particularly of youth in China today, because they’ve grown up in a different world. There’s an idea and expression that is very widespread in the Chinese worldview which translates as ‘to eat bitterness’ – which is similar to Viktor Frankl’s notion of finding meaning in suffering. To be a peasant in feudal China was very much about the determination to keep going and to accept the things that you could not change. 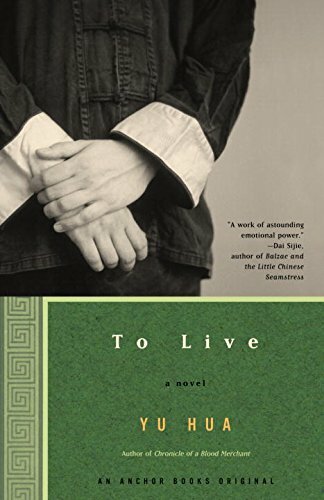 To Live, explores this idea ­– but told as this man’s life story in which is one tragedy unfolds after another. While I was in China I travelled all over the country and experienced the modernisation of the urban centres, and the falling behind of a lot of the rural parts of the country. There is something about the story of the last sixty years of the country that Yu Hua managed to capture beautifully in the book. It’s a story that isn’t being told in contemporary China. It’s a story of the personal experience of the chaos of revolutionary political and economic change. Of course, the mantra today is about stability, about the orderliness of the leadership of the communist party. We are presented today with this monochromatic view of China now. I call it ‘red-washing.’ It’s a view that is entirely ahistorical. Would you say then that it would be an advantage for young people to start learning a language or two – especially Mandarin – and that they should make a point of reading literature in those languages? Yes. China is a country that, for younger people today, is going to be centre stage economically, politically and geo-strategically. So many dimensions of our lives will be affected. There is much to learn about, and a connection to be made with, China in this book. It’s an important book. At the same time, it is also just beautiful. I can’t get through it without crying. I’ve not read the English translation, so I don’t know how it is in English. I read it in translation and it is terrifically moving. Next on your list is Alias Grace by Margaret Atwood (1996). I guess I wanted to pick a Canadian book, because I am from Canada and I’m a pretty big Margaret Atwood fan. I think probably Alias Grace is my favourite Margaret Atwood book. I ask myself why I like this book so much. I like historical fiction. I like non-fiction. Yu Hua’s To Live is historical fiction – of China during the cultural revolution. 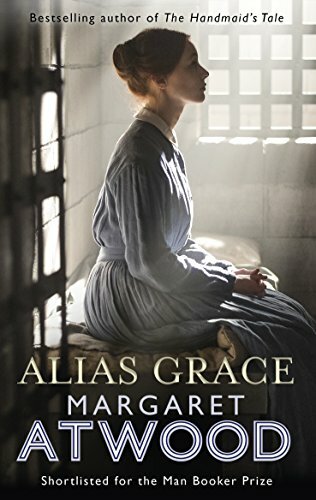 Alias Grace is historical fiction set in Canada around the mid-1800’s. I think this story actually takes place just a bit before Canada becomes a country. Would you say that taking an interest in history, our own history as well as the history of other parts of the world – including good historical fiction – would be of benefit to a young person? Yes. For me, reading this book and hearing about a world where Toronto wasn’t this big city but basically a settlement, where people got around in horse-drawn buggies, I found was a lot of fun and informed me about the history of my own country. The other thing that I really admire about Margaret Atwood’s writing in this book is that she stays true to historical fact. This woman, Grace Marks, the main character, really was a person. She was put into prison for her role in the murder of a farming family. Just as a matter of historical fact, we don’t really know much more than that. Was she guilty, was she innocent, was she possessed? This is a key question around which the whole story revolves. Margaret Atwood got me completely involved in the story. Grace Marks tells the story in the first person, we’re inside her head, yet still by the end of the story I don’t know if she did it or not. It would’ve been so easy for Margaret Atwood to decide one way or the other, and then tell it from the perspective of either the murderess or the wrongfully accused. Margaret Atwood does something brilliant in this novel with her female characters. It’s set in 19th century Canada where women had a very defined place in society. 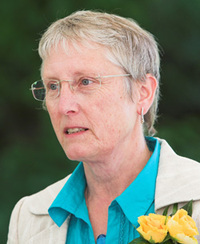 Yet this woman, Grace Marks, has a strength and an authority over some of the men in the book. Even though she’s a convicted murderess in this penitentiary she has a power and a sway. Do you feel there’s anything specific this book can offer a young person who might read it? I didn’t read it for a lesson. I read it for pleasure. Sometimes, we just need to do that: read often and read good books. But if there is a broader lesson, here is this story woven out of such a tiny slice of history. It isn’t one of the great crimes of history – it really was obscure. Even so, Margaret Atwood weaves this magisterial tale around it. This book is beautiful proof that everybody has a story that could break your heart. Everybody has a story that you could write a great novel about. Young people should go through life and try not to throw away any moment, no matter how insignificant – life is all down to the love, care and curiosity with which we handle it. Your final book is The Count of Monte Cristo by Alexander Dumas (1845). Who hasn’t read The Count of Monte Cristo? Well, I hadn’t until you chose it for this interview. I’ve looked at it on the shelves in bookshops and thought it looked good, but very, very long! I spent a year on academic exchange in France and I read it then and in French. I picked it because it is a great but easy story. It begins with these huge ships, there’s a love story, there’s a betrayal, then prison and the main character meets a priest in prison who, on his death bed, tells the hero about this treasure. Our hero escapes from prison, finds the treasure and comes back as this mysterious and unimaginably wealthy gentleman to wreak his revenge upon all those who have wronged him. It’s an awesome story. When I read it I felt I already knew the story. It seems to have seeped into popular culture. There are so many versions of it in books, films, plays. I think when it was first published it was serialised in a magazine. I chose it because if you want to learn a language, then – as soon as you can – read a good story in that language. That was my first takeaway for learning a language. I actually learned it from my piano teacher, in my first lesson he started teaching me how to write music. I was surprised because I felt that it would be a while before I could write music and he said you’ve got to play with the instrument and get creative early. I feel that with language it’s the same thing. We learn languages in exercise books but as soon as we can we should play with language. Primarily great literature is written to entertain us. Culture is for pleasure. So if you can find a great book, it’s a chance to have fun with a language you are learning. The Count of Monte Cristo is perfect for this since it is such a huge book by the time you’ve finished it you will understand French! 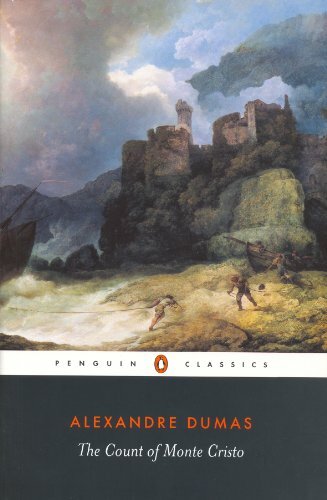 Are there further lessons to be found in The Count of Monte Cristo do you think? If there is a lesson or a theme within The Count of Monte Cristo it is about revenge and the cost of revenge. Being careful what you wish for. The other theme is about riches and wealth and what is truly valuable. The main character spends much of the novel consumed by the need to hurt the people who hurt him. His great wealth gives him no pleasure. The thickness of the book gives you a sense of the scale of the tragedy, how much time and effort he put into plots to destroy people. Even though he had escaped from prison – he had physical freedom and the total financial freedom that the treasure afforded him – yet he still wasn’t content. I’m not sure Dumas intended it to be that deep.